With over 13,400 voters weighing in on the top ballparks in MiLB Short Season-A baseball, LeLacheur Park, home of the Lowell Spinners, was the winner in the third-annual Best of the Ballparks 2017 fan vote. Short Season-A baseball encompasses the Northwest League and the New York-Penn League. In this year’s competition, LeLacheur Park received 50.3 percent of the fan vote in the final round, edging out Avista Stadium, home of the Spokane Indians, which received 49.7 percent. Over 345,000 voters participated to date in this year’s Best of the Ballparks fan competition for spring-training, college, Minor League Baseball, independent and summer-collegiate facilities. 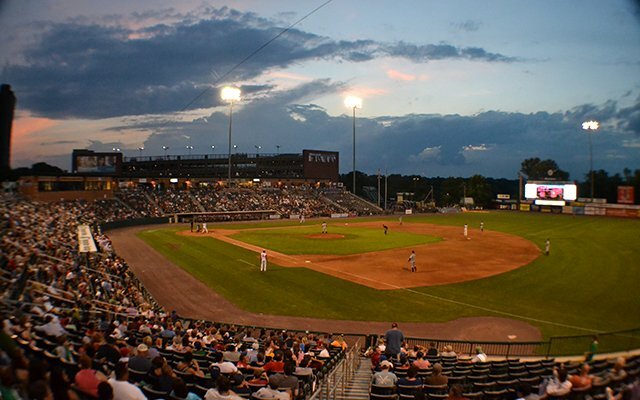 Edward A. LeLacheur Park opened in 1998 as a joint project between the City of Lowell and the University of Massachusetts Lowell, serving as home of the Spinners the entire time.